8th Fantabulous Cricut Crawl and Giveaway – Back to School! Hey there and welcome to the EIGHTH Fantabulous Cricut Crawl, Fantabulous Cricut’s version of a Blog Hop! 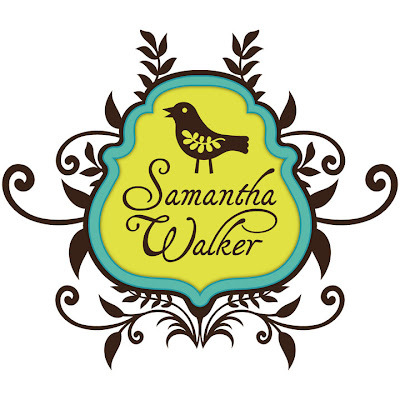 If you’ve come from visiting Amy L. over at The Red Headed Crafter, you’re in the right place! If you’ve just happened across my blog and would like to play along with our Fantabulous Cricut Crawl, start HERE. It is already that time of the year and we are all getting ready for BACK TO SCHOOL! Each talented Design Team member will be featuring an original BACK TO SCHOOL Project that includes a SCHOOL RELATED Item, such as crayons, rulers, pencils, book, school bus, etc. along with at least ONE Cricut Cut. There will be PRIZES along the way at our DT members’ blogs, AND there will be a Grand Prize up for grabs at FCCB for one participant that submits a “Back to School” project at FCCB! Now how is that for clearing up the case of the “Monday’s”! Before I get into all the details and recipe of the project I want to let you know that I am thrilled to be able to OFFER A FUN GIVEAWAY from Scrapinkris’s Esty Store. You will get to personally pick out FOUR of your favorite crinkle ribbon colors. I will be announcing the winner on Friday. All you will need to do is leave a comment on what is your favorite Cricut Cartridge and/or crafting supply. Please be sure to include a way for me to contact you! For my project my four-year old help pick out the inspiration of a bird house for her teacher that she will have this year. I kind of pulled out the kitchen sink of crafting supplies to do this project including recruiting the hub’s bandsaw to cut the pencils and rulers for the roof top. I used Mod Podge for adhering the paper to the bird house and had some fun with my NEW Cricut Catridge, Doodle Charms! NOW I know why all the fuss over that cartridge and am kicking myself for not getting it sooner! Next up is the fantabulous Cicily over at Pink Dalmations Scrapbooker! What a treat she has in store for you AND DON’T FORGET to get in the game and link up your project to FCCB’s Fantabulous Cricut Crawl post to be entered into the contest! Thanks for sharing a piece of “fantabulous Cricut Crawl” pie with me! Posted in Cricut Cartridge: Create A Critter Cricut Cartridge, Cricut Cartridge: Doodlecharms, Cricut Cartridge: Plantain Cricut Cartridge, Cuttlebug Folders, FCCB(Fantabulous Cricut Challenge Blog) Design Team Projects, My Pink Stamper- School Days and tagged apple inspired crafts, paper crafting a teacher gift, paper crafting bird houses, school days themed projects, school themed craft projects, teacher gifts, teacher gifts made with Cricut. Bookmark the permalink.